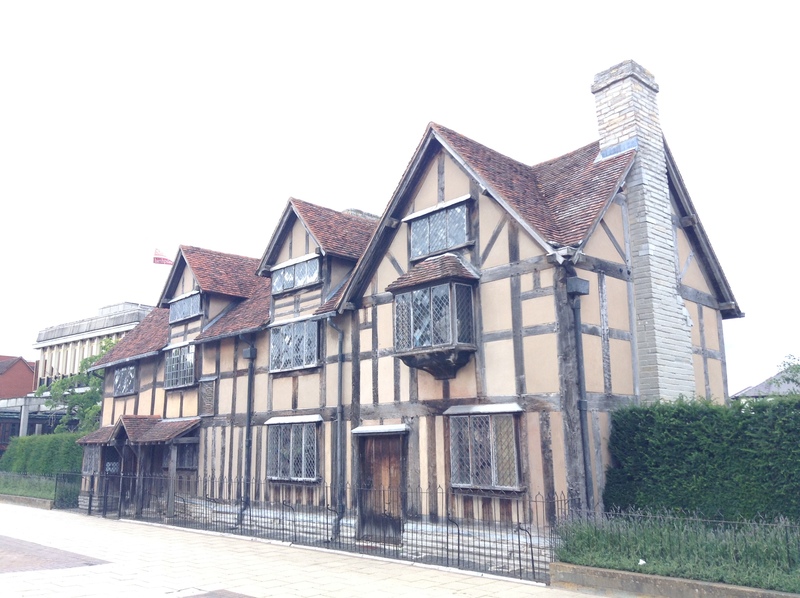 On leaving from a visit to Stratford Upon Avon, birthplace of William Shakespeare, Musa Askari reflects on the experience. 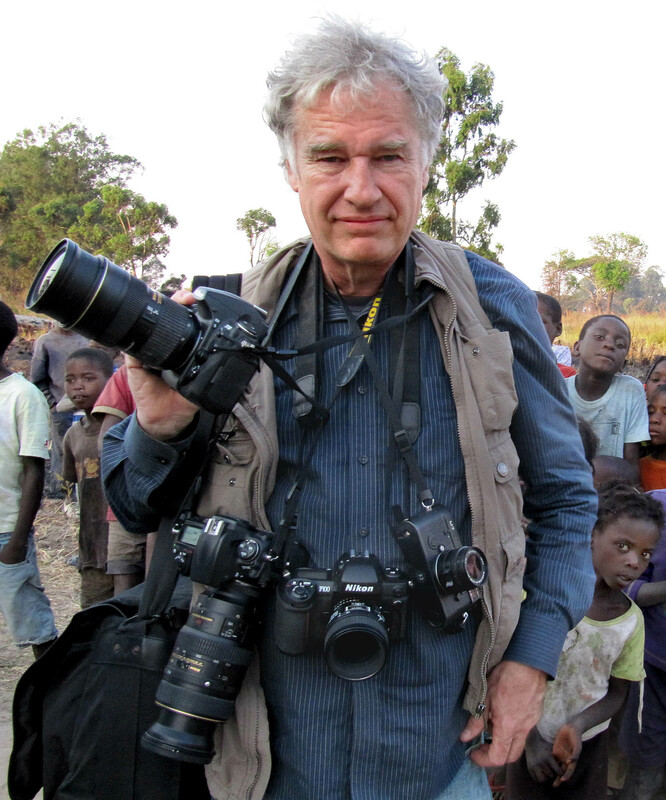 Sincere thanks to Jeff Widener for agreeing to this interview. Musa Askari: STILL IMAGE: I would like to begin by enquiring generally on the idea of the “still image”. From the earliest cave paintings of hand stencils to Narcissus’s reflection in a pool of water. From Emily Davison bravery in 1913 to conflicts and war zones. From the freedom marches of India, United States and South Africa to “The Tank Man” of Tiananmen Square. Humanity appears to have a fixation with the “still image” and images of the image. With dramatic changes in technology from the earliest cameras to digital cameras on mobile phones the ability to capture and share instantaneously flashes of meaning and context, for better or worse, from propaganda to oppress to solidarity movements to liberate, one of the first instincts is to record the event via a photograph. Why in your view has the idea of the “still image” remained so strong, intact and unchanged as an idea, while all about it the means to capture images has changed through developments in technology? Is our technological quest for picture/image clarity disguising something deeper within the psyche of humanity, the search for “clarity” itself, of our place in the world? I wonder is this the invisible and intangible still centre to which we gravitate in those iconic images which seem to not only draw but hold our attention? Some may even refer to this tug upon our senses as the work of artistry itself, that something becomes clear to us about ourselves. Jeff Widener: What matters the most with a still image is how the visual experience can trigger an emotional response from the viewer. No matter how far technology advances photography, it is still the final image that speaks. When a photograph can make you cry, laugh or take your thoughts back to a past lover or a song from an earlier time then the photograph has succeeded. A photograph should be felt and not viewed. When the picture still resonates in your mind for weeks onward then something magical has been happened. Far too many photographers concern themselves with the technical side of photography rather then feeling the pulse around them. To capture the soul of your subject you must be able to bond with your subject. Musa Askari: TIME: Today it takes less than a second to capture a photograph. I compare this with the time of extended reflection one may take when later pondering its meaning. In order to avoid losing touch with the depth of meaning and resonance from being lost it seems we desire the “still image”. Is this what may be referred to as time having stood still in a photograph? What have you found to be the power of the “still image” and how does it convey what more than a thousand words may never do? Jeff Widener: The brain seems to have an easier time storing a single image than a video for example. Why this is so is best left to the scientific community however in my many years as a photographer has shown me that people just recall still images much better than motion cameras. Musa Askari: PHOTO-JOURNALISM: Would you agree the important work of a photo-journalist involves “bearing witness”? 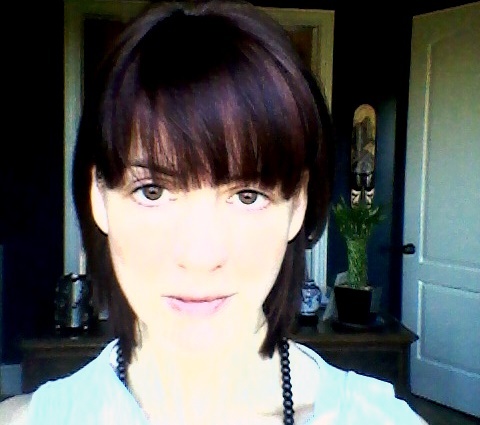 Being the “eyes” for a world that may choose to look the other way. That through them we are also able to “bear witness”. Is it the case on some level a photo-journalist brings through them the most fragile of things, namely conscience, placing it right within the heart of a conflict zone for example? Bearing witness through the physical eye having first borne witness through the inner discerning eye of conscience. With the aid of modern revolutions in information technology is photo-journalism the harbinger of a time when it will be no longer credible to say we do not know about one crisis or another and thus critically faced with a central issue about ourselves, why we did not ask or enquire? Jeff Widener: Technology has had a profound impact on our daily lives. So much news bombards us every day that I believe it is sensory overload. That said, we as the human race have no choice but to keep up with what is happening in the world. The problem is not that there is so much news reported but the increasing censorship by governments which seems to be ever increasing in all parts of the world including Europe and the United States. One of my biggest concerns is the tightening laws involving street photography. There is a real risk that future generations will have very little idea how their ancestors lived. There may be virtually no candid images of children. Society has become overly paranoid with the internet which makes documenting humanity a serious challenge. Musa Askari: TANK MAN: It seems to me highly unlikely the brave soul we have come to know through your image of him would hardly have been aware of anyone recording his defiance through a still image or video, let alone aware of the name he would come to be known by to the world at large beyond the boulevard upon which he stood. In that sense his singular protest takes on much greater significance. An embodiment of the principle of having witnessed himself injustice and suffering all about him one is called to “act”. To not act in that instant in some form had perhaps become unthinkable for him. His actions speak for themselves – they speak beyond themselves. Having taken the most widely circulated photograph of the “Tank Man” how do you feel the importance of that image/event has fluctuated over the last two decades or so? Does an image have to remain forever popular, in the collective consciousness, for it to retain its iconic status? Or is an “icon” something transcending history – in other words would you agree it has a “timeless” quality, a spiritual quality even in the sense of transcending cultural and national boundaries making the powerful example of “The Tank Man” identifiable with struggles universally? In conclusion I would like to return to the earlier reference of “bearing witness”. As one who stood on that balcony that fateful day, as an eye witness to the “Event” of a powerful expression of individual resistance, I would be deeply grateful if you could share your thoughts on what emotions you were going through at that moment? Would you also agree we need to recognise there were perhaps two “Tank Men” at that moment of encounter? Jeff Widener: The Tank Man event was quite shocking however at the time I was suffering from a sever concussion from a stray protestor rock that had smashed into my face. My Nikon F3 titanium camera absorbed the blow sparing my life. So for this reason, the Tank Man moment just seemed like a continuation of the previous night’s events. It was only after several months that the importance of the image settled in. Sometimes being a journalist numbs you to the world. My job as the Associated Press Photo Editor for Southeast Asia was extremely demanding with almost non stop action and danger. I witnessed horrific events in Cambodia, Philippines, Sri Lanka. It now seems that years later, many of these things that I have documented are just now being fully realized. 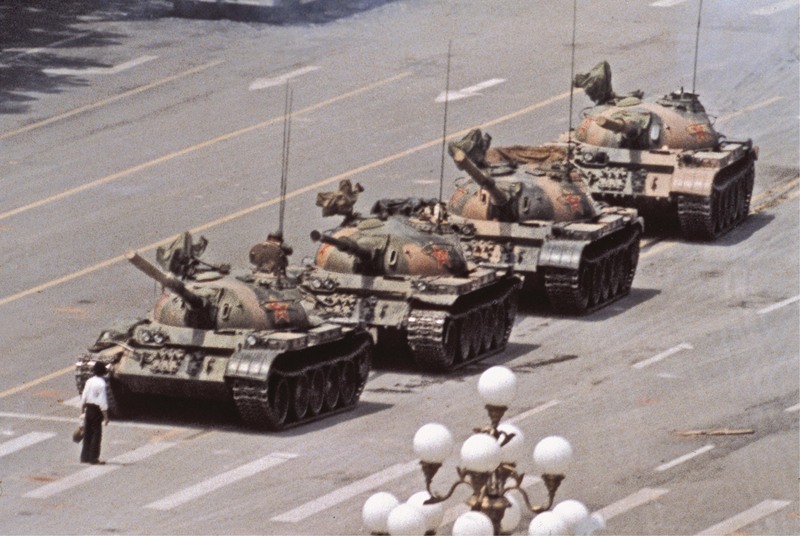 At the time of my photographing Tank Man, I was extremely scared for my life. I was suffering from a sever case of the flu as well as the concussion but even with that, I was aware that something extraordinary was happening through my camera viewfinder. The lead tank driver must have known the consequences for stopping –so yes, there were two heroes that day. *Photographs provided and published above with the generous permission of Jeff Widener. Please visit Jeff’s website for more information about his important work. 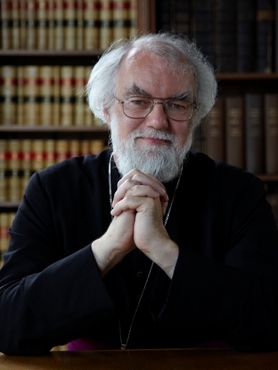 Dr. Rowan Williams, Archbishop of Canterbury (2002-2012), is currently Master of Magdalene College, University of Cambridge. Dr. Williams is a highly respected scholar, theologian, poet, translator, social commentator to name but a few of the reasons why he is held in such great regard. 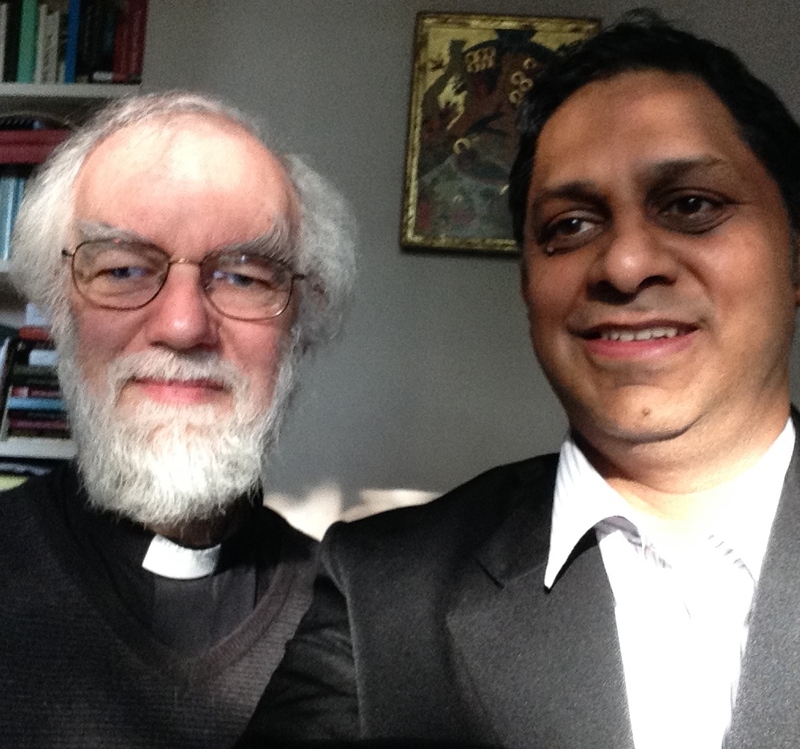 Sincere thanks to Dr. Rowan Williams for agreeing to this interview. How significant do you sense it is for the individual, the individual witness, to avoid losing one’s individuality? In other words keeping intact an inner differentiation, guarding against collective hypnosis. Also to what extent would you agree it is problematic when those in power seek to institutionalise or “create a protective state to guard what they hold as true”? Rowan Williams: Keeping an inner freedom is essential. We need to be aware of who it is or what it is that we are truly answerable to, rather than assuming that our final judges are those who happen to have power and influence in our immediate context. It must always be possible to ask, ‘is the majority right?’ And this is why a genuine democracy protects freedom of conviction and expression; it will encourage robust public debate and give a place to religious conviction as part of that. It will of course make decisions, but will also leave room for conscientious dissent. Musa Askari: I would like to offer you two views on the term “spiritual” and invite your comment. First from my interview with Professor Noam Chomsky. In an interview for The Humanist in 2007 Professor Chomsky is quoted, “When people say do you believe in God? what do they mean by it? Do I believe in some spiritual force in the world? In a way, yes. People have thoughts, emotions. If you want to call that a spiritual force, okay. But unless there’s some clarification of what we’re supposed to believe in or disbelieve in, I can’t”. What does the term “spiritual” mean to you and I would be grateful if you would offer some clarification which Professor Chomsky talks about? And is it unusual in your experience for both humanist and believer to share what appears to be a similar perspective on the term “spiritual”? Rowan Williams: I rather share Tim Winter’s doubts about the word ‘spiritual’, as it is so often used simply to designate someone’s feeling of a moment’s significance without posing any questions about the nature of reality or the possibilities of change in society. I understand the word very much against the background of a Christian scriptural use which sees ‘spirit’ as that which connects us to God and one another, that which gives us relation with God and the possibility of life together in peace and justice. Hence the Christian scriptural imagery of the ‘fruits of the spirit’ – the products of God’s indwelling seen as love, joy, peace, patience and so on. To Professor Chomsky’s remarks, I’d respond by saying that the essence of belief in God as I understand it is not belief in values or imperatives but in the actual (though mysterious) presence of an immeasurable agency whose action is directed towards our life and well-being. Such a belief gives me not only assurance but also a sense of being under judgement for my failures to reflect that utterly generous orientation to the Other in my own life and actions. These words from the great mystic-philosopher Plotinus, introduced to me by my late father-teacher, have long been, along with other things, a cherished part of my spiritual life. Yet perhaps within the inner life of a believer there needs to be awareness of a kind of spiritual complacency. Would you agree to simply memorise a set of words, a prayer perhaps, or even a whole scripture, or the universal declaration of human rights appears to be not enough? How would you advise we guard against at times the familiarity of words we utter from becoming a mask over the reality of what the words are but a signpost toward, “a journey not for the feet”? I would be grateful if you could share your thoughts in response to the above quote on “mystical experience”. How has your inner life been influenced by the presence of more than one religious witness in the world? Is it easier to encounter the other socio-religiously, almost inevitable, even involuntary given the instant nature of global communications? 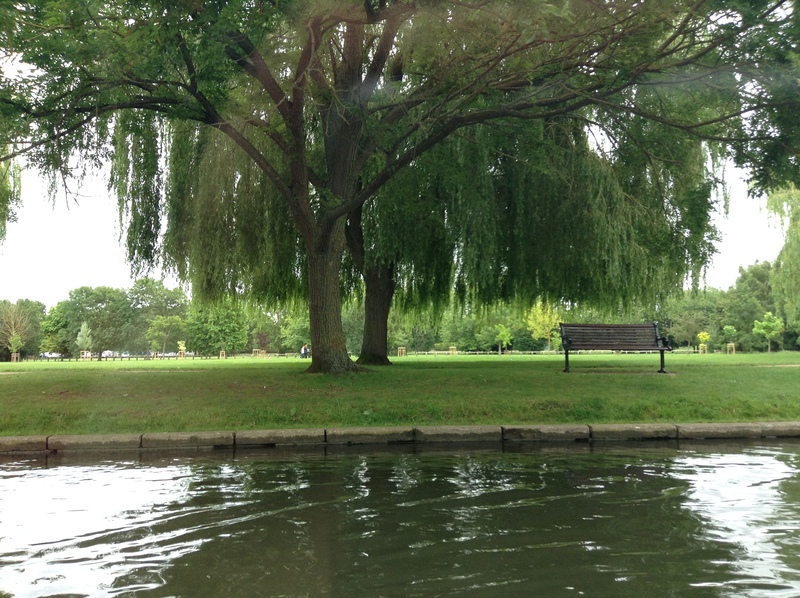 However, to encounter our spiritual neighbour perhaps involves invoking another kinship. One laid out for example in the great mystical challenge of the Sermon on the Mount. Therefore, how do we recognise each other as not only culturally-religiously co-present, upholding all the wondrous diversity, but also spiritually mystically deeply significant to one another, transformative? Rowan Williams: The idea of universal recognition is crucial here: we see in one another something of the same desire, the same journey, the same drawing onwards – and if we truly believe that our humanity is one at the end of the day, then this is hardly surprising. So I don’t find difficulty in learning from the spiritual explorations of those who do not share my exact convictions. Of course my prayer and understanding depend to a degree on where and who I am and what specific beliefs I hold; I’m not in favour of any attempt to construct a universal system above and beyond the particular religious traditions. But I also think that the more securely you are rooted in your own tradition, the more hospitable you will be to the deepest life in other places. You will see the other, in their otherness, as a gift to you for your growth and maturation. Musa Askari: I would like to turn now to issues with respect to revelatory communication, the scientific age and quest for alternatives. First, some context by way of the following selection of quotes from Professor Syed Hasan Askari (Discourse on Soul, from Towards A Spiritual Humanism, 1991). I welcome your thoughts in reply to the above quotes. In particular do you support revival of the classical discourse on soul as a means to help explain not only revelatory communication between the Supremely meta-physical (Beyond Being, The One/The Good as Plotinus refers) and the material aspect of a human being but also communication between individuals in our everyday lives? That the principle of “Soul” (non-material, indivisible, invisible companion, one-many all at once) is the ontological parity. And finally what do you see as the great opportunities before us for meaningful, mutually respectful, engagement/dialogue between religion/spirituality and humanism? Can we start to talk about what Hasan Askari advocated, a move towards a Spiritual Humanism? Rowan Williams: Hasan Askari is absolutely correct in saying that a proper account of our relation with the Infinite God requires us to see ourselves differently. The Christian teacher Gregory of Nyssa in the fourth century CE says that if we understand that we cannot ever come to the end of understanding God, neither can we come to an end of understanding the human person. So we must always approach the human person with absolute reverence – this human individual is a reality we shall never completely contain, control, explain, reduce, and so we have an endless task before us, which is loving and serving them, not explaining them! And for religious believers, there is therefore a close connection between recognizing the infinite mystery of God and reverencing humanity properly. Lose the one and you will sooner or later lose the other. Humanism in the fullest sense requires an acknowledgement of God. A ‘soulless’ humanity, understood simply in terms of mechanical processes, does not have any obvious claim on our kindness, our service, our veneration. We may not be able to say with complete clarity what we mean by the word ‘soul’, but we know that it stands for our capacity to be in relation with God, and thus for all that belongs with our freedom and dignity. To learn of the passing of a loved one thoughts issue forth like the dawn of a sunrise. The first ray of light followed by countless rays that, due to their brilliance, are now indistinguishable one from the other. There is only light. Light upon Light. When I heard the news of the passing of my dear uncle Syed Mohmmed Taqui I felt the sun of his soul had fully risen. As if the entirety of a life was akin to the slow gradual rise of the sun above the horizon, the last tip of the sun having bid fare-well to the line of horizon. A line drawn from birth to the moment of passing. A line along which a life had been lived. A line that was drawn horizontally is now drawn vertically leading one to another life, another horizon, another sunrise. A life lived is more than the trace of footsteps left in its wake. Above all it is a sign of journeying from here to there, from right to left, from below to above. All the rotational points forming a circle of many dimensions. Our life as soul to sojourn knowing the permanence of our abode is “elsewhere”. No place of locality, but eternal, placeless and traceless. To become “homeless” innerly we are home. I pray for the continued safe journey of the soul of Syed Mohmmed Taqui. When reflecting upon one’s own life or the life of another it is as if we are always watching a sunrise. There is no death only the beginning of another journey. The birth of a life is the sun rising, a new “day”, our whole life as one “day”. For the Soul knows this association with body is but a fleeting moment within many moments. The reverse I find holds more in it, not the setting of a sun, not the receding light of a life lived but the full glory of a magnificent sunrise. We are left to bathe in the light of his life, the mark of all that was and remains the best of his life. No mark such as that of a seal, of ring impressed upon wax, no impression such as this to be worn away by the weathering of time. Rather a mark made upon one’s consciousness, one’s heart and one’s soul. The mark of his life summed up in words such as courage, strength, compassion and great humour. I will forever remember the glint in his eye and the warmth of his smile. When these two qualities combined, there in those moments, I recall now one was meeting the essence of his nature. What to speak of sadness and grief? How to speak of sadness and grief? These deep feelings for us left behind to undergo. Clutching to them like the trailing string of a kite set aloft to the wind, cut free from the bonds of the hand that held it with love during its flight before our eyes. It flies now held by and tugged by another Hand. A child stands upon a rooftop balcony; a kite flies from its hand. A tug, a lengthening of the string followed by a firm grip. Without warning the kite breaks free, separated from its connection with the earth as like the passing of a life from this world. The face of the child aghast and distressed. The smile upon his face moments ago is no more. A tearful sadness and perhaps a desperation takes hold; a longing to taste again the sense of freedom through the symbol of a kite imparting. The kite swaying in the wind like a leaf set free from some branch. The trailing string of the kite passing overhead; a prayer leaps forth with hope to reclaim it. The child rushes to the street below and searches patches of sky in-between the towering buildings as if looking for a lone cloud in a cloudless sky. A fleeting glimpse of the kite gliding overhead, the heart races, a memory recalled. He turns corner after corner just about keeping pace with the trailing string but the kite itself is out of view. His hand outstretched while he runs ahead as if the roles are now reversed. Where the kite once danced to the tune of the child’s hand it is the child which is now beckoned. The joy which was the mark of friendship between the kite and child still remains though now expressed differently. An invisible bond connects them. This journey of following a kite, a free spirit, akin to a mystical relationship between a master and disciple. One may live an entire lifetime until eventually the kite and follower must part ways. The kite has brought the child to the shores of a mighty ocean and flies on to the horizon. There is sadness; there is grief as like the passing of a loved one. He raises his hands in prayer to the Supreme, bidding a final fare-well to his beloved kite, his master. A prayer of gratitude, a prayer of friendship, a prayer of love. As his hands pass over his face he feels each line, each groove, each fork and twist. Each line a path the kite had lead him to tread. Each line upon his hands a horizon upon which countless suns had risen and set during the course of their journey. The child has now become a man. He looks up to the horizon. The sun is rising upon the ocean. It is the dawn of a new life. This journey of longing, sadness, mourning and grief has not been in vain. It has cleansed entire. The kite flies on to the horizon. Soon there is no kite to be seen. Only a glorious sunrise. Each soul moves toward a greater horizon should it so choose. Each kite longs to fly freely to meet the rising sun. May the Light of a Greater Sun forever shine upon the soul of Syed Mohmmed Taqui. May the horizon to which his soul journeys draw ever nearer. Hasan was a man with a mission to somehow, someway to spark awareness in mankind to transcend him back to God and to “our nobler and loftier companion, our Soul.” Hasan directly points out, “First soul, then God! The soul possesses the vision of the Supreme One.” He proceeds to say further in his article, “First one must “Know thyself” (written on Gate of Entrance to the ancient Temple of Delphi) and “Whoever knows his self knows his Lord” (said by the Prophet of Islam). As Hasan expresses adamantly, “Soul is one and many, a universal being. It is in souls of each other that we encounter each other both individually and universally. We surpass the boundaries of our outer identity.” In other words, we must as spiritual beings find within ourselves, our soul then only then can we move to find God. And when we unite with the soul we find God; then can we see our soul reflected in other souls with different religious backgrounds, race and culture because the soul is universal as so is our God, all is one; we are one. One quote always remained in my memory from Hasan and this is why I chose this article in particular to try to bring clarity to myself and others on a spiritual journey. It is this, “A real evangelist would be one who brings the good news of universal truths as these are glimpsed through various religious symbols and philosophies.” This rang with vibration within my soul when I read this because if we all could speak of universal truth and not just what we collectively identify with in our culture, this would bring a sort of peace to mankind. Why? As Hasan says: “Our perspectives will expand: we shall not only notice religious diversity as a spatial fact but also value the coming and going through time of teachers and prophets, religions followed by religions – all calling upon us to wake up and humbly bow in self-knowledge before the almighty source of our souls. Then our conversion will be not to this or that religion but to one God (speaking theistically), All Transcendent-All near, All Freedom-Ever New!” How beautiful Hasan wrote this; brings tears to my eyes. This is about a father’s journey through his life while in search of meaning knowing the pain and misery he caused to himself and his family. And so how Hasan ends the story with a story to his son, “Once a visitor called and said to his father, “I have come to see your son. May I know where he is?” His father replied: “Do not call him my son. I am his son!” How this says it all between Hasan and his son, Musa. Now this brings me to the end, to Hasan’s son Musa. If was not for Musa I would not have had the beautiful experience of reading Hasan’s work. And because of Hasan’s works it has brought me to a new but reviving view of my spiritual journey. On this day February 19th, a very special day, I can only say Hasan would be so very proud of his son, Musa. To keep his work alive through his continuing relentless effort or shall I had said “effortless” for Musa. I thank you Hasan for your work; and your loyal son and your best friend, Musa. God Bless both of your souls. I have only mentioned a couple of Hasan’s articles that resonated with me, but how all of his articles and works are a tremendous awakening for all to read. I encourage you to read them all. It was my late father, Syed Hasan Askari, who introduced me to the prayer of St Francis many years ago. My introduction came in the form of hearing it read aloud. Perhaps to come to a new prayer not by reading it first but by hearing it one is somehow able to let the prayer rest more gently upon one’s soul. Especially if hearing it read by a person one trusts. Therefore, prayer may also be understood not only as a sign of devotion but also trust between seekers of truth and greater still a sign of Trust in a Higher Power to which the prayer is directed. To hear such words of love and devotion for the first time resonated very deeply. In the years to follow the prayer would become one among many of my constant sources of inner support. I would not only read it in silence or remember it during the course of a day but moreso I would make a point of reciting it by whispering it to myself at some late hour of the night. Through this whispering recital the prayer became more real, an experience, not only of emotional support but far beyond that to moments of experiencing the prayer as a form of being itself. That it almost had a life of its own. A life in which I was hoping to participate if only momentarily due to varying levels of inner intention and alterness. Over and above the actual form, order and beauty of the words it is worth exploring, if only superficially through this reflection, the manner in which the prayer is working upon our inner being. What is its outer effect and what is its inner influence? What kind of inner preparation is required to utter such words as authentically as possible? If one is an “instrument” it begs the question who is the invisible artist and what is the melody that is being played? In what way, if at all, do the first and second verses talk to one another? Does a prayer stop when we have finished uttering its words of devotion and praise? Or is there a life, above our own embodied life, in which the prayer perpetually participates? Are prayers, in the form presented to us by inspired individuals who first uttered them, an echo of a far greater recital of praise and devotion that goes on above our consciousness? Where there is an echo there must be a source from which it emanates. Where there is vibration there must be the beat of a drum. Where there is beauty there must also be the eye which recognises it as such. Where there is thought there must a thinker. And where there is a question there must be a clue or the answer complete. Is there such a question and answer present within the prayer of St. Francis? Is there any such dialogue implied between the one who prays and One to whom the prayer is directed? At first glance perhaps not. However, if one looks more closely, at the first verse in particular, the following may be a clue where there are six question and answers present and not only that but clear intruction or remedy provided. Is it not so that through most of our heartfelt prayers, either handed down by tradition or uttered by oursevles spontaneously, we somehow feel in “conversation” with the Supreme? It is into such a “conversation” the prayer of St Francis invites us to enter. In other words, consciously or unconsciously, the human soul is in constant “communication” with its Source. A Source from which it emanates and to which it longs to return. It is perhaps this “communication”, this greater dialogue, that the prayer somehow lifts the reciter innerly to become more conscious of. All great prayers take us in this direction. The prayer becomes a door into another kind of awareness. In our corporeal nature we hear corporeal things. How can the physical ear hear an answer from One who is Supremly immaterial and Beyond Being? Therefore, silence and patience become the means through which our inner ear becomes more atuned and there we may wait, atentive, alert, humble and above all listening by stilling all distraction within our lives, touching the fringes of a greater peace. Hearing as it were by another mode. In the prayer of St. Francis we have a deeply moving dynamic where not only are question and answer co-present but also the remedy or instruction to the question. The prayer consoles, reassures and embraces all at once. There is no delay in compassion. The remedies of love, pardoning, hope, faith, light and joy are instantly provided as soon as the question and answer are complete. Infact, the prayer does not wait to be asked how one corrects the disorder within and without. It rushes the remedy towards us faster than we inhale our next breath. Life before life. One may choose simply to reflect or meditate upon only one line of the prayer and be moved beyond measure. The question, “where is despair?” may be asked outwardly addressing the world and we are presented with images of oppression between human beings or come across testimonies of those who continue to suffer and through such images and accounts we are told innerly, “look! there is despair”. All one need do is ask the question wholeheartedly, compassionately and sadly too many answers come flooding to our consciousness of lives lived in despair. The prayer challenges to ask and notice the other and by doing so abolish otherness from our being. One need not look far to see despair if one chooses not to walk by on the other side. On the other hand the same question maybe asked about oneself to oneself, “where is despair?”. Here personal courage is needed, for now we are looking into the face of our lives and should we be able to peer with unwavering inner strenth the answer comes, “there is despair”, directing us to some long forgotten memory or unravelling chains of thought which enslave and cripple us mentally, distancing us from the world and from ourselves. To both outward and inwardly directed questions on despair the answer is the same, “hope”. In other words, do not despair, there is hope. The very question itself is “hope”. The question carrying within itself its own liberating power. The question is hope “embodied” as a thought. The question cannot come from an abyss of utter want or lack, the question must carry with it the source which sent it on its way. As referred to previously; the prayer consoles, reassures and embraces all at once. It can only do so if it is enveloped by an inspired inspiration. In the outer form of one line, the question and answer go hand and hand, as like two hands coming together in prayer. Further, the first verse gives us another insight. It offers a definition of “peace”. Of what “peace” means when commencng a recital of the prayer. Here peace is to love. It is also to pardon, to have faith which implies to trust, to be hopeful for the Light of the One to whom the prayer is addressed is neverfailing and our overriding inner state of such peace in that moment is to be joyful. Would that those who wage war in the name of “peace” remember such qualities of peace as offered by St. Francis. Would that they pause and re-think in “silence” if they truly are bringing peace or the oppositie of peace which the prayer of St. Francis does not shy away from making clear. Namely, hatred, injury, doubt, despair, darkness and sadness. In my view the first verse is where the inner work is to be done. The first verse prepares the inner ground, turns the soil, so that we may “sow” such seeds as love and hope. Thus making the earth of our being a fertile ground from which may spring, over the ocean of our consciousness, all that the second verse leads us toward. The second verse finally frees us from enslavement to our ego-bound mindlessness. Of collective hypnosis from our exclusive one-sided attitudes to identities of race, ethnicity, culture, creed and ideology (religious or humanist). We are in a totally new frame not only of mind but consciousness when proceeding through the second verse line by line. When the first verse has “consoled” us, “understood” and “loved” us like a kind friend or beloved. When it has enriched and pardoned us our failings. When we have been transformed within and without through the power of the first verse then, and only then, we may truly mean the words which pass by our lips of surrender from the second verse. We ask nothing for ourselves when we have been given more than could have been asked for. Now, one may recall how the prayer began, “Lord, make me an instrument of your peace”. Through the discourse on soul we are told body is the instrument of soul, the material is later to the immaterial. Yet, it is not the body which seems to be the “instrument” implied when we notice how the prayer ends, “it is in dying that we are born to eternal life.” What other could it be that perishes, passes away, than body? And what other than soul could we speak of when we speak of life eternal? It is soul that has the right to eternal life. Only soul un-embodied remains immortal. Soul, impartible, invisible, indivisible, non-material companion of our self, both one and many at the same time. The higher levels of the beautfiul prayer of St. Francis may only be reached when perhaps we consider the prayer to a prayer of the soul. An echo of a greater prayer that continues above our consciousness. What the words of that greater recital may be, only as souls shall we come to know. Soul, here and now. Peaceful greetings to the soul of St. Francis of Assisi. Originally published as guest article http://soul-licious.com/?p=918 Thank you to Mia Caruso for asking me to write about the Prayer of St Francis.